My favorite time to cook? For friends and family! Don’t get me wrong — I still like the day to day cooking Evan and I do each evening, but I really enjoy spending a couple hours in the kitchen on the weekends preparing a large meal for our favorite people. How did I spend this past Saturday night? At the bar? Dancing the night away at the club? Not this girl! I was happily slicing and dicing away in the kitchen. Our friends Sarah and Will invited us over for an afternoon soiree with friends Sunday — one last hurrah before their baby boy arrives at the end of the month. Always eager to contribute, I was pleased when they asked to me bring something savory for brunch nibbles. Start by thawing half a pound of chopped frozen spinach. Preheat your oven to 375 degrees. While it is heating, mince half an onion and 3 cloves of garlic. 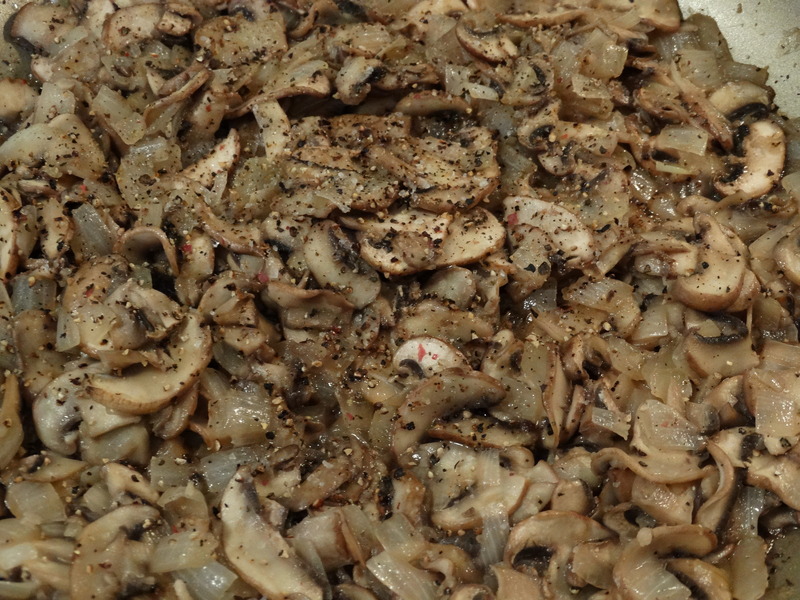 Thinly slice half a pound of cremini mushrooms (also called baby bellas). Then heat 2 tablespoons of coconut oil over medium heat in a cast-iron or non-stick skillet and sauté the onions with a bit of sea salt until soft — about 5 minutes. Add the sliced mushrooms and minced garlic next. Cook them until all of the moisture has evaporated, turn off the heat, season with sea salt and freshly ground pepper to taste. Remove the pan from the burner to cool. While the onions and mushrooms are cooling, squeeze the excess water from the spinach. I put mine into a colander and pressed it multiple times until I couldn’t extract any more water. To prepare the batter, beat 8 eggs in a large bowl. 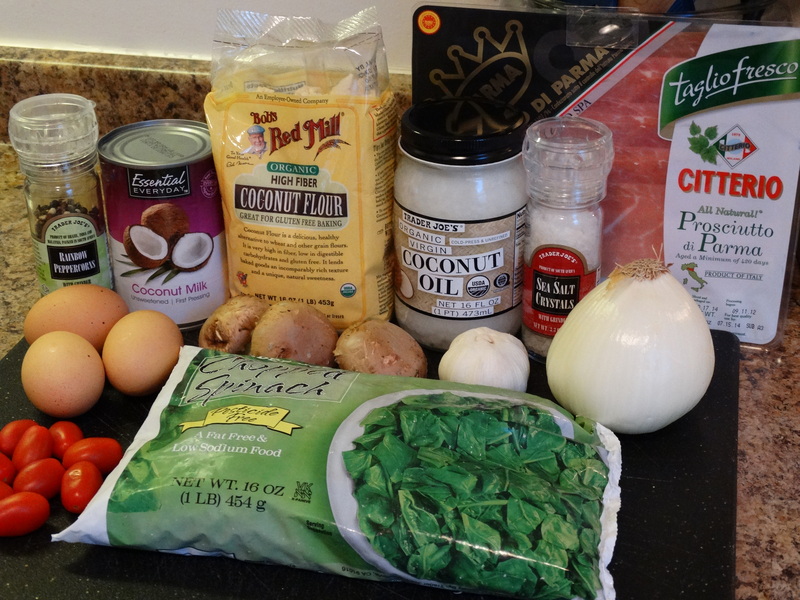 Add 1/4 cup full-fat coconut milk and 2 tablespoons coconut flour. Whisk until the batter is thoroughly mixed. It will be very thick at first, but keep whisking! 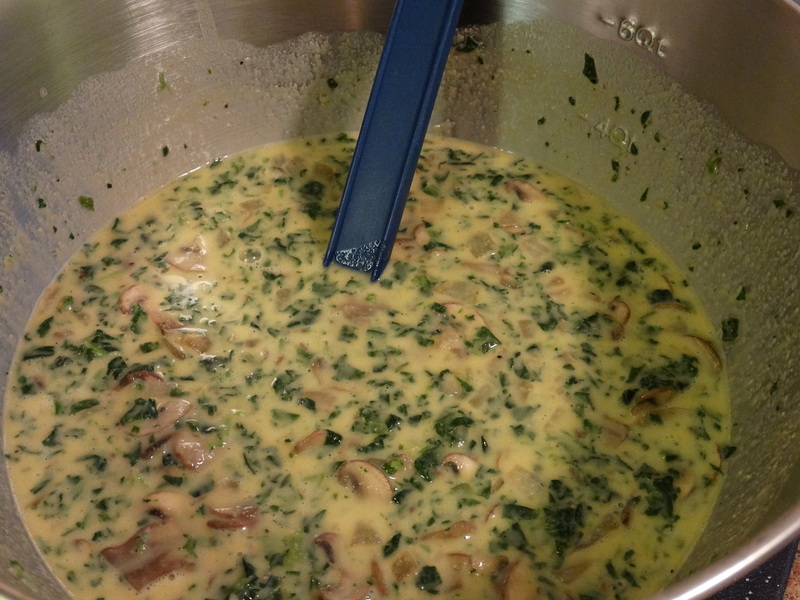 Once the lumps are gone and the batter is smooth, add the mushrooms, onions, garlic, and spinach. 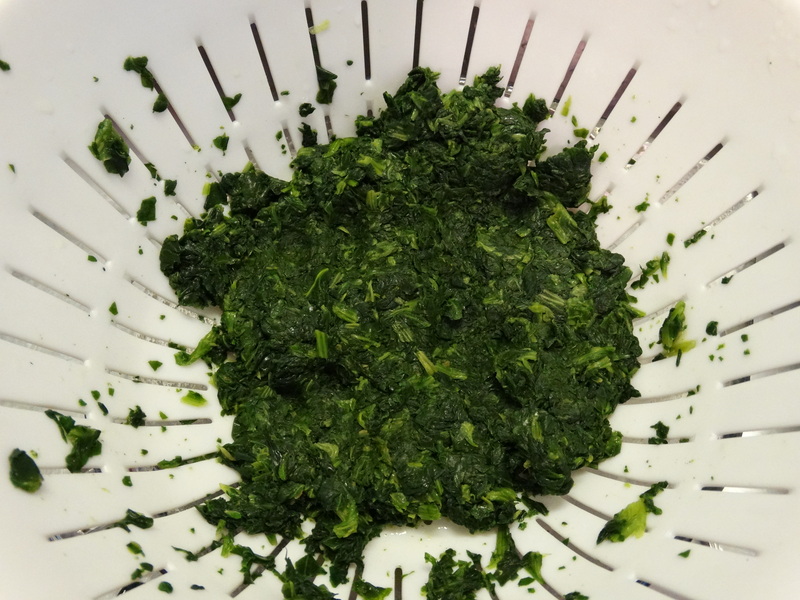 Stir until mixed well and no clumps of spinach remain. 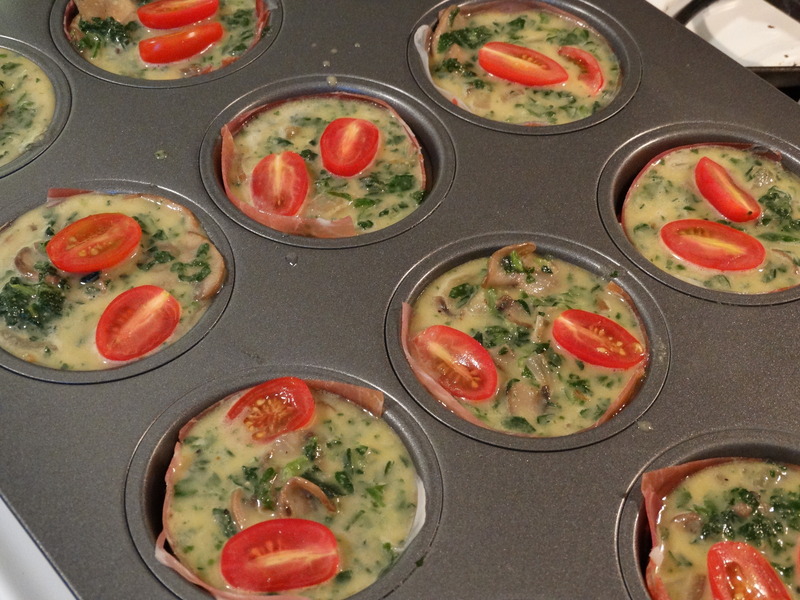 Using a 12-cup muffin pan, use the remaining 2 tablespoons coconut oil to coat each cup. Then line each cup with prosciutto. You may need to slice it to make an even fit. 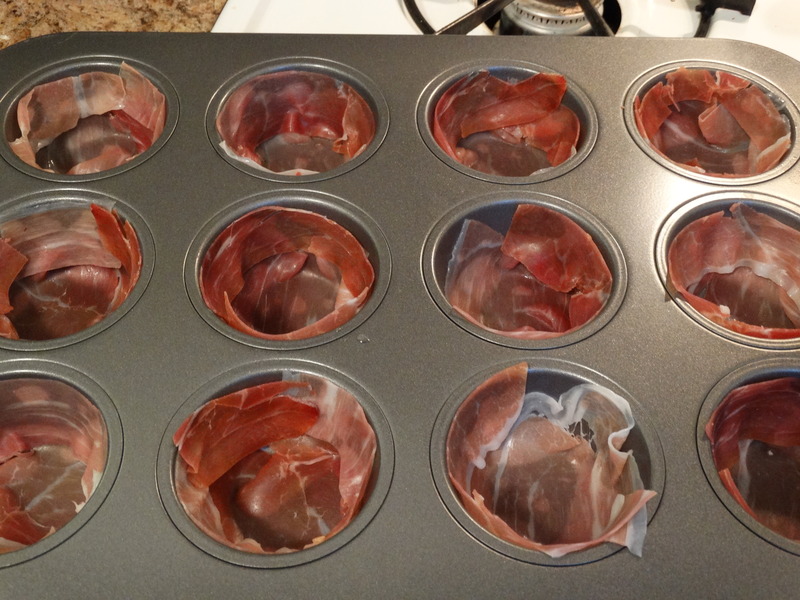 I used a square of prosciutto as the base and then strips around the sides the cups. They don’t have to look perfect — they will taste amazing regardless! Spoon the batter into each cup until almost full and top with cherry or grape tomatoes that have been sliced in half. 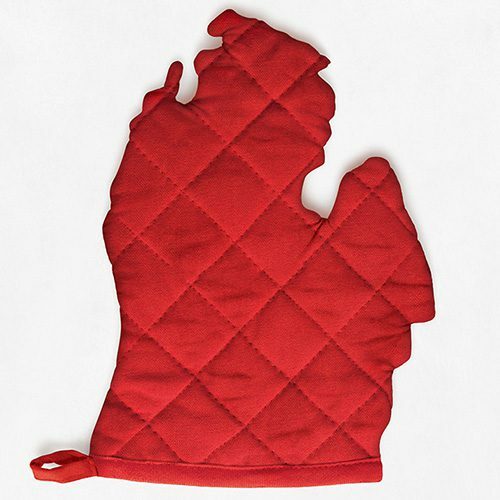 When your oven reaches 375 degrees, put your “muffins” on in. Bake for 10 minutes, rotate the pan back-to-front, and cook for an additional 10 minutes or until cooked through. When a toothpick inserted into the center comes out clean, they are done. After you remove them from the oven, cool them in the pan for a few minutes. You can eat them immediately, or transfer them to a wire rack to cool completely. Whenever you decide to eat them, be sure to enjoy! 1) Preheat your oven to 375 degrees. Heat 2 tablespoons coconut oil over medium heat in a cast-iron or non-stick skillet. 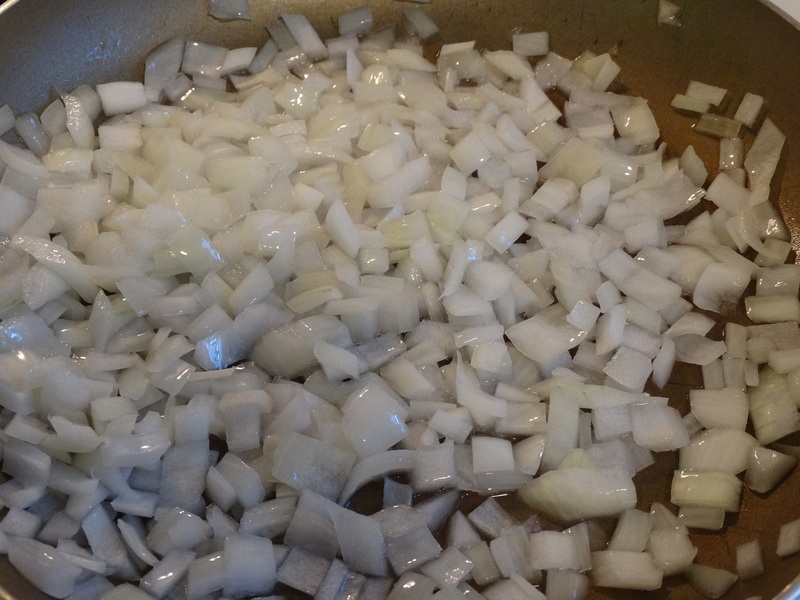 Sauté the onions with a bit of salt until soft, about 5 minutes. 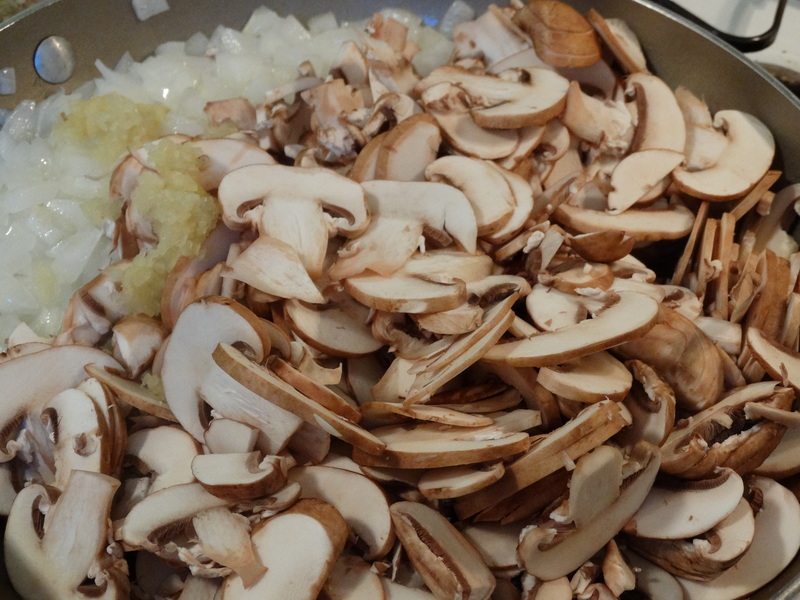 2) Add the mushrooms and garlic. Cook until all of the moisture evaporates, then turn off the heat, sprinkle with sea salt and freshly ground pepper to taste, and take the pan off the hot burner to cool. 3) Beat the eggs in a large mixing bowl. Add the coconut milk and coconut flour, whisking until thoroughly mixed with no lumps. Stir in the mushrooms and spinach. 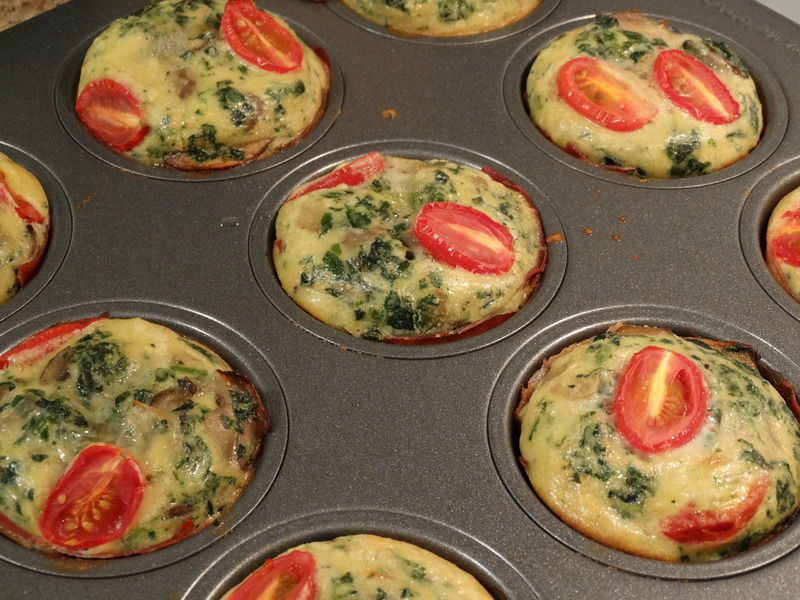 4) Brush a 12-cup muffin tin with 2 tablespoons of coconut oil. Line each cup with prosciutto and spoon the batter into each cup. Top with tomato halves. 5) Bake for 10 minutes, rotate the pan back-to-front, and bake for another 10 minutes. When a toothpick inserted into the center of one “muffin” comes out clean, they are done. 6) Cool for a few minutes before removing them from the pan. Serve immediately or cool completely on a wire rack. I can’t wait to try this one!! I love frittatas. Curious if it would make a difference if I used fresh organic spinach and sauteed it up with the shrooms instead of frozen spinach?! That sounds delicious, Dawn! I’ll have to try that next time. Let me know how it goes?